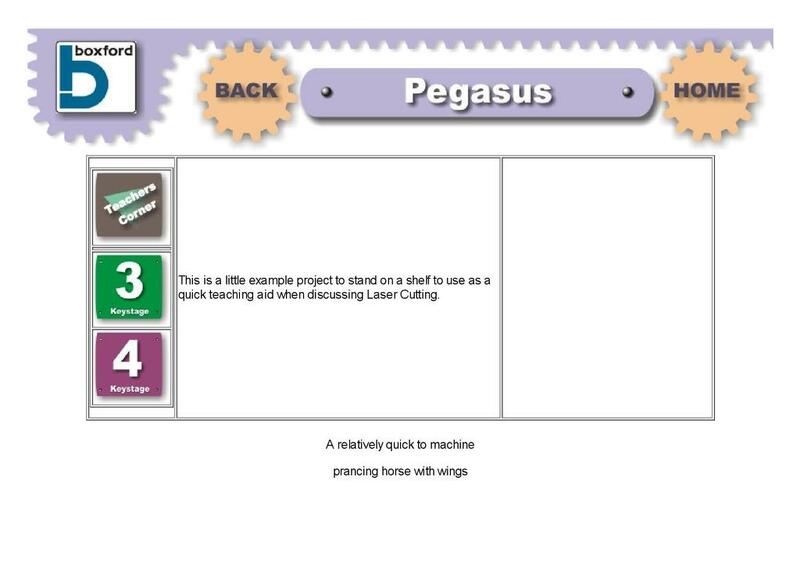 This resource from Boxford facilitates the manufacture of a 3D figure of a Pegasus from sheet material. This could be used as an exemplar for a project to design and make a ‘flat pack’ 3D item or to demonstrate the capabilities of a CNC laser cutter. It includes the CAD files for each of the component parts of the figure and pictures of the assembled item. Curriculum links include the use of CAD/CAM to design and manufacture products.